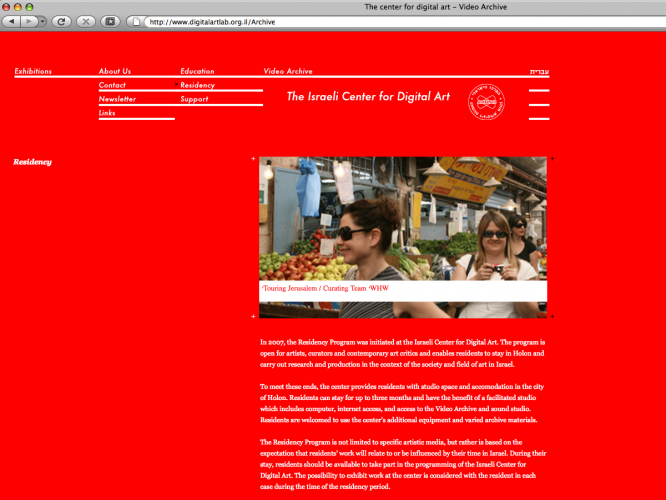 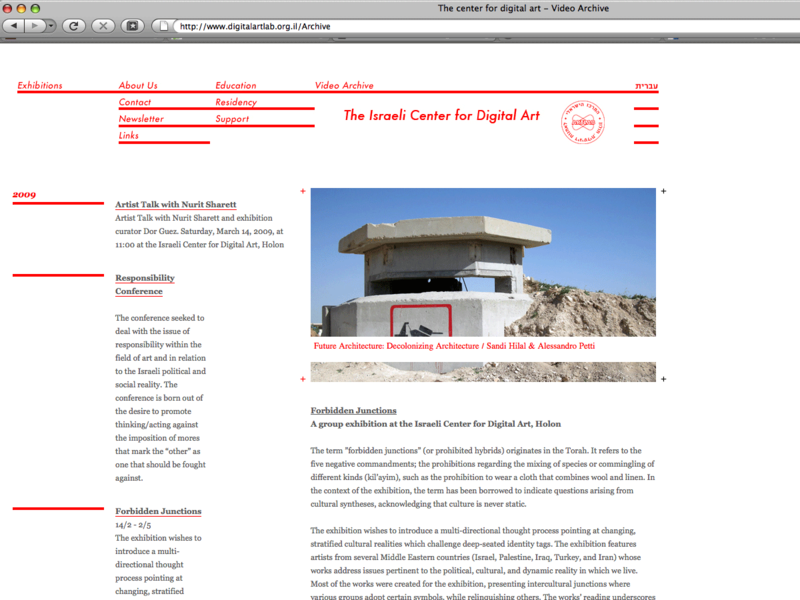 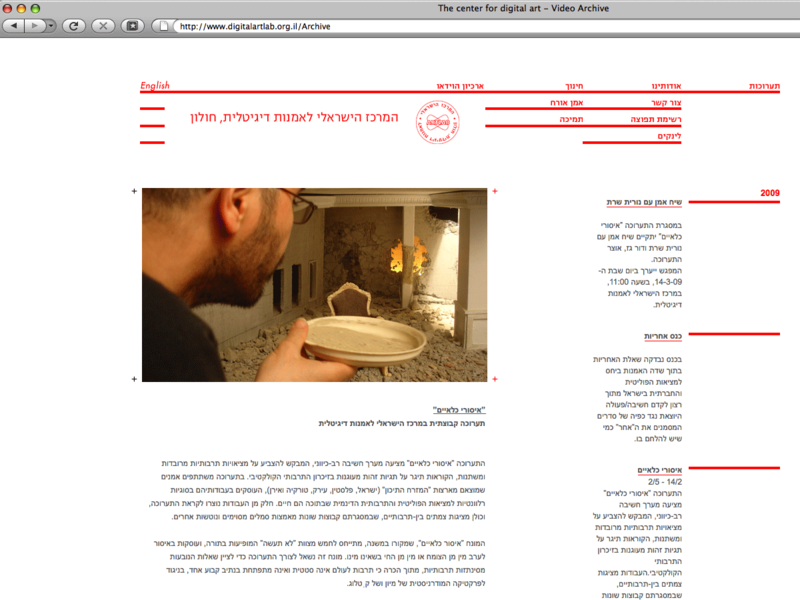 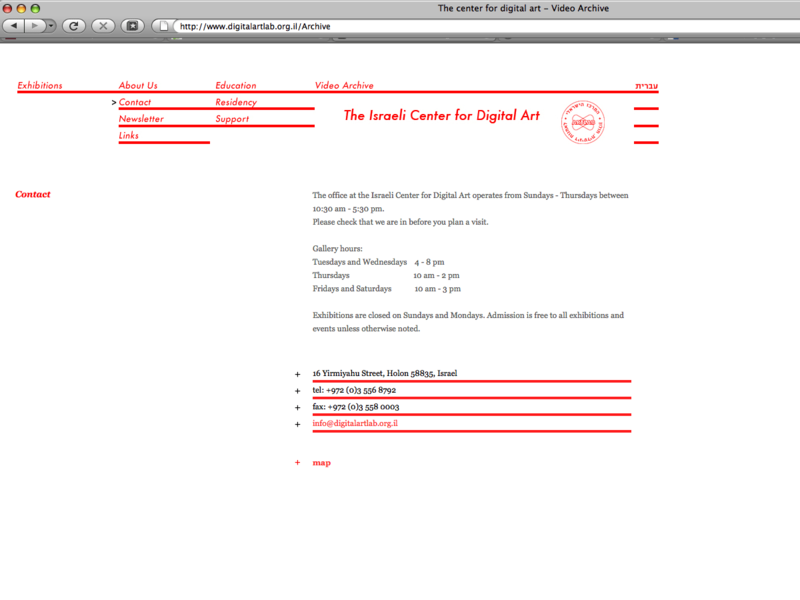 Twin sites for the Israeli Center for Digital Art. One is for the Digital art center – for it’s exhibitions and various programs. 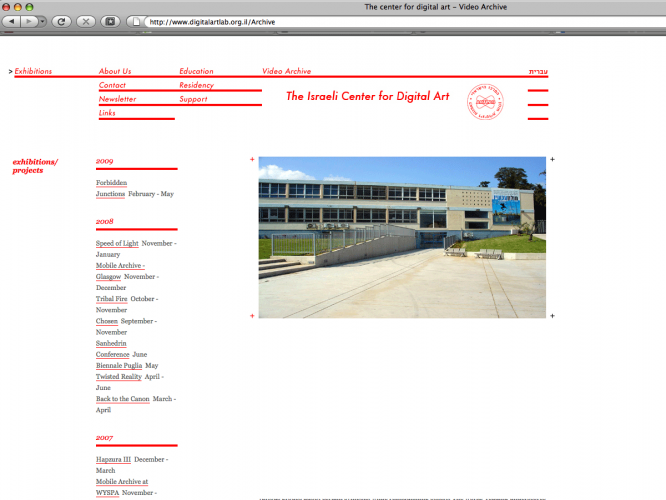 The other is for the video archives located in the center and made to enable people to go through the catalog of videos stored there.